Clearance: 19.5mm Horz. x 17mm Vert. 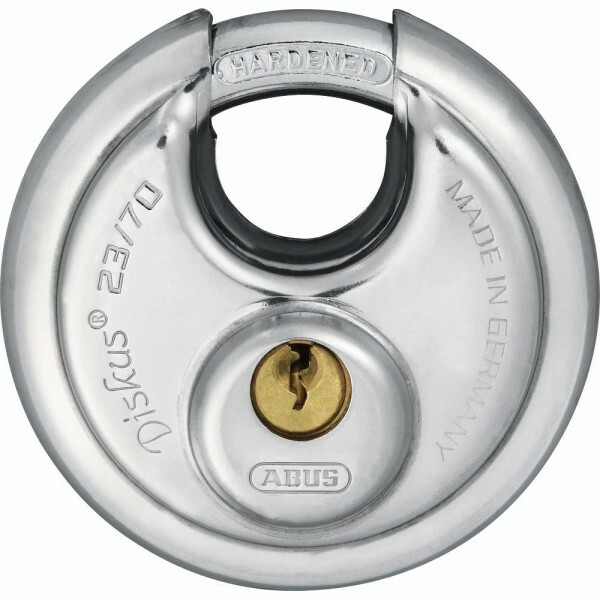 Abus 23 Series Diskus padlock is an economy version of the distinctive ABUS 26/60 series Diskus padlock, incorporating the original Diskus design with a competitive price. Medium security requirement in external conditions. The shackle is manufactured from case hardened steel and is protected in a stainless steel body. The anti-cut plate provides 360 degree protection from sawing while a top quality welded seam secures against impact attack.